De Bruyne, who opened the scoring after five minutes, disappeared down the tunnel and appeared displeased at the decision, with reports suggesting he was angered at being denied the opportunity to build on his match fitness after spending time on the sidelines with a knee injury. 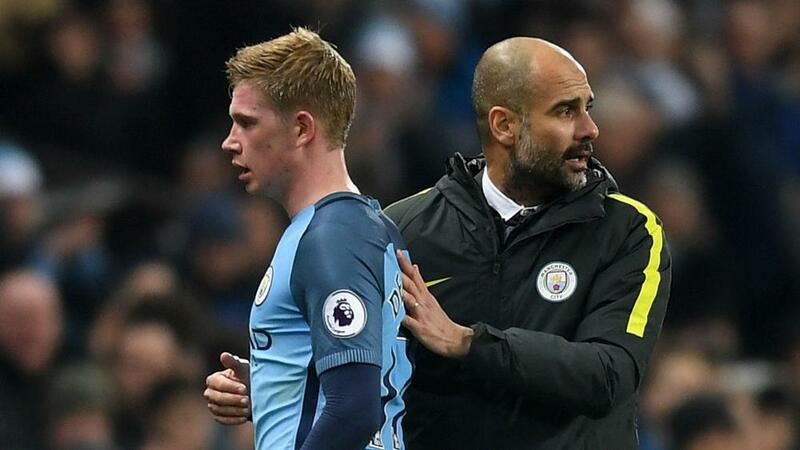 And Guardiola, whose side host Wolves in the Premier League on Monday facing a seven-point gap to leaders Liverpool, encouraged De Bruyne to speak up if there is an issue. "I don't know what happened, he didn't speak to me, so I don't know what happened," said the City boss. "If he has a problem he knows where I am, so I don't know, really. I didn't speak with him so that one time I cannot say what he thinks because I don't know." De Bruyne has managed only 194 minutes of top-flight action this season after missing only one Premier League game last term.